Obr. 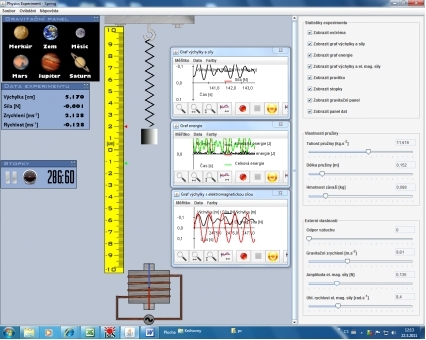 1: View on applet 'Simulation of spring oscillation'. Applet can be freely run / downloaded from the link above, to successfuly run the applet there needs to be installed JAVA Runtime Environment (JRE) on your computer. JRE can be downloaded from here.